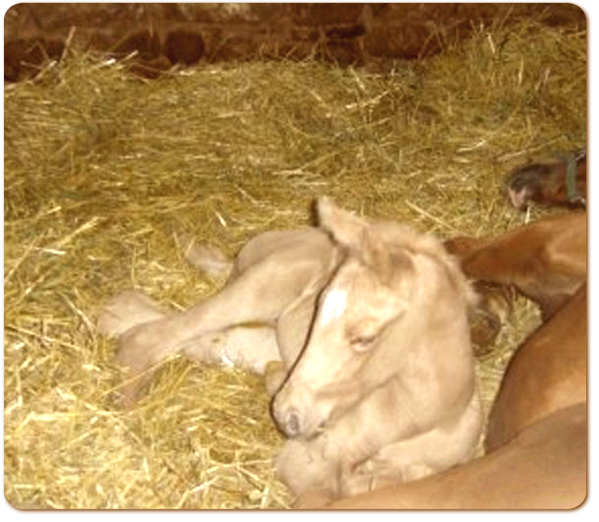 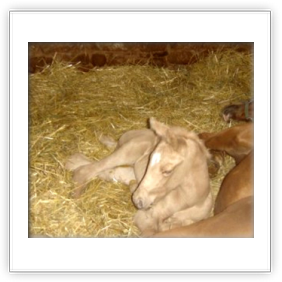 Our first knockout of the year arrived in the wee hours of March 23rd and what and outstanding colt he is! 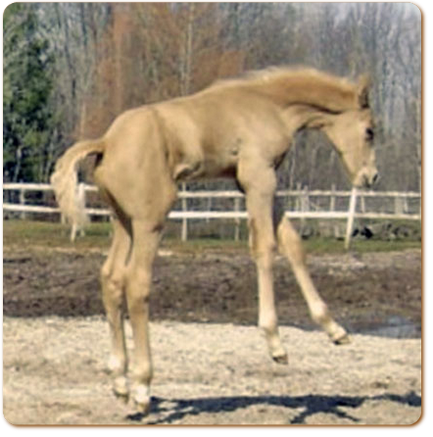 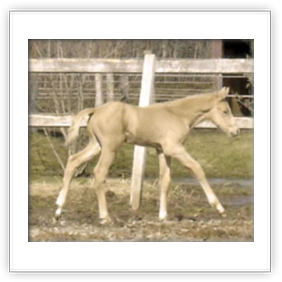 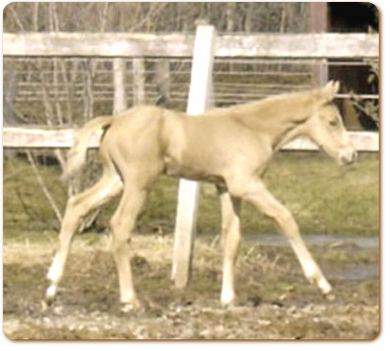 He is a beautiful palomino colt by Guaranteed Gold out of our Brass Monkey who stands 17.2 hh herself and it won't be long until he catches up to his mom looking at the length of his legs already! 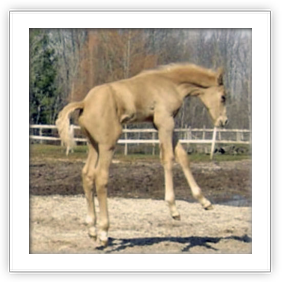 He will certainly turn heads in any crowd!